So, you live in a small house. You’re not alone. There are thousands of small homes and accessory dwelling units in San Diego, and homeowners who don’t seem mind the lack of square footage, most likely have a handle on organization. If you find yourself shaking your head at your lack of space, you’re in luck. These tips to keep your small spaces organized will have you feeling much more calm and happy at home. The reality of small home spaces is that many people use them as a catch-all for most every random item that you can imagine. There are several reasons for this, but the most glaring problem is a lack of organization and vision for the space. There are many ways to optimize small spaces in order to better utilize every inch of the area. With a few simple strategies, you can quickly develop and implement an organized system that will allow you to get rid of the clutter. If you live in a small home or condo, take full advantage of your walls. Often under-utilized, a wall provides a solid anchor point to get items large and small off the ground. There are several ways to optimize these areas with wall folders, pockets, and anchor hardware. Home offices are typically the best area to utilize wall folders. It will get papers and documents off of your desk and in a place that you can better categorize and access them. Anchors work great in heavy item areas, such as storage closets and entry halls. You can hang lighter items like coats and accessories, or even sporting equipment and outdoor specialty items. Wall organizers come in a variety of styles and designs. They can even be found in several designs that fit within current trends. 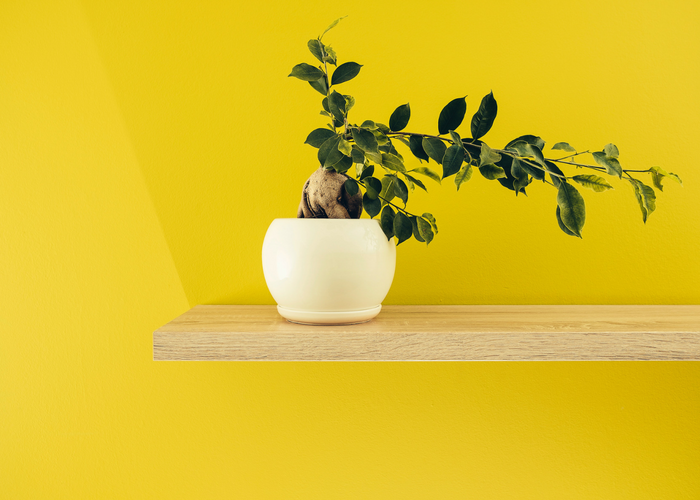 With a bit of research, wall organizers can not only help to clear clutter in a small area, but they can add visual interest and structure to a small space. Often times, the foot space of our small areas is the most cluttered space of all. We typically throw items on the ground, or try to cleverly stack them against a wall in a way that will look organized. This simply doesn’t bode well, especially for a small space. When you have a ton of clutter on the floor in a small area, you are robbing the area of precious square footage that could be used for design or functionality. Instead, aim to keep only the must essential pieces of decor and furniture in your room. This will keep bulky pieces off the floor and away from the walls…which will open up the space like you wouldn’t believe. Scan your home for pieces that can be donated or hidden from plain sight. Clearing foot space is a surefire way to make a small space appear bigger, as well as increase the overall functionality of the area. If you live in a small home, you have no choice but to get organized. 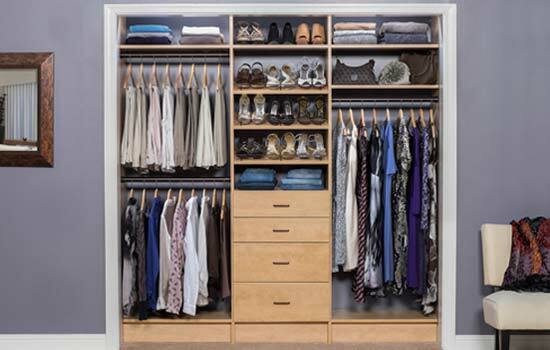 Closet organization will allow you take full advantage of the storage in your home. Install added shelving and consider purchasing hanging storage cubes to help store smaller items! If your closet isn’t very deep or wide, don’t sweat it. Go vertical! Take advantage of wall space, even up to the ceiling. Small home or not, everyone can benefit from a dose of minimalism. There is a big reason why minimalism is moving from trend to lifestyle habit. People all over the world are adopting minimalist practices because they see and feel the immediate benefits from it. Once you’ve taken the time to go through all of your household items and purge, it’s important to break the cycle of buying things you don’t need. Begin to carefully consider everything you purchase and take home. Ask yourself if you truly want it, if it will truly bring you long-lasting joy, and if you’ll actually get good use out of it. If you ask yourselves these three questions, it will be so much easier to talk yourself out of an unnecessary purchase. Not only will your clean, de-cluttered home feel great, but your wallet will thank you, too! All in all, small homes can have a ton of charm and can suit your needs just as well as a home with more square footage. 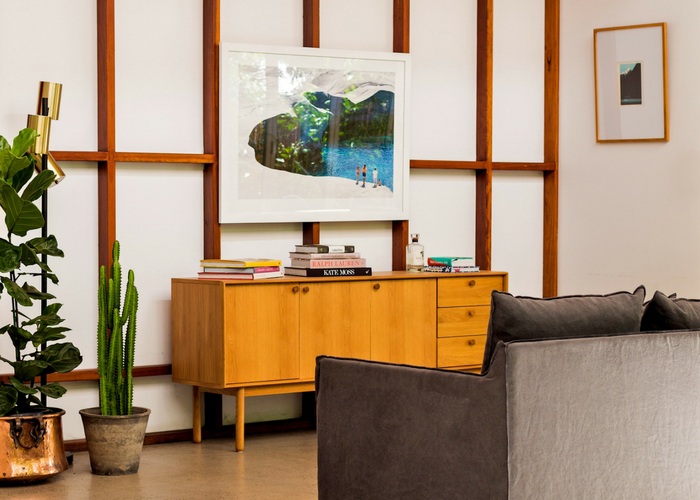 It’s all about using the space properly and adopting the mantra, “less is more.” By following these simple guidelines, you can quickly take your San Diego small home back into your control!